After a very long, hot and humid summer, Florida moved into a very long, hot and humid fall/ winter. Now that 2016 is finally here the temperatures have started to fall off enough to get back into the swing of things. AND, now that all broken vehicles have been replaced with new ones the team is once again ready to hit the swamps. The first in-depth multi-day expedition that will require access only by canoe/kayak is scheduled for March 2016. 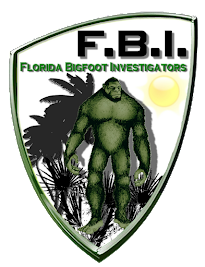 Kevin Thomas Kehl Teri LyngeJason BallOmar TorresWolf TorresRobert RobinsonNick TudorGeorge McGeeMike GomezThe exact location of this expedition is a closely guarded secret but it has been revealed that it is in a part of Florida that has had many reported sightings according to the BFRO. Stay tuned for more info as it comes out. 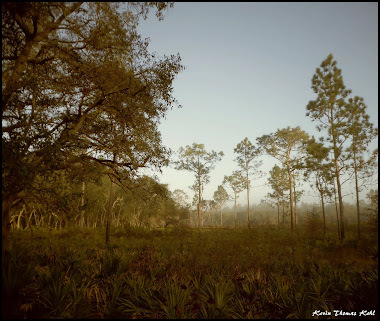 "Friday Night Hikes" As the sun sets we head out into known sighting areas. 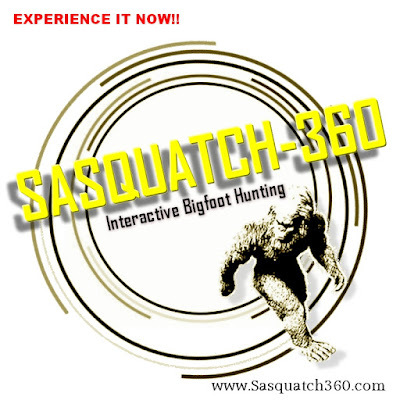 From Lettuce Lake to the Green Swamp we try to hit them all as well as utilize a little of the "Ambassador Project" to offer gifts. 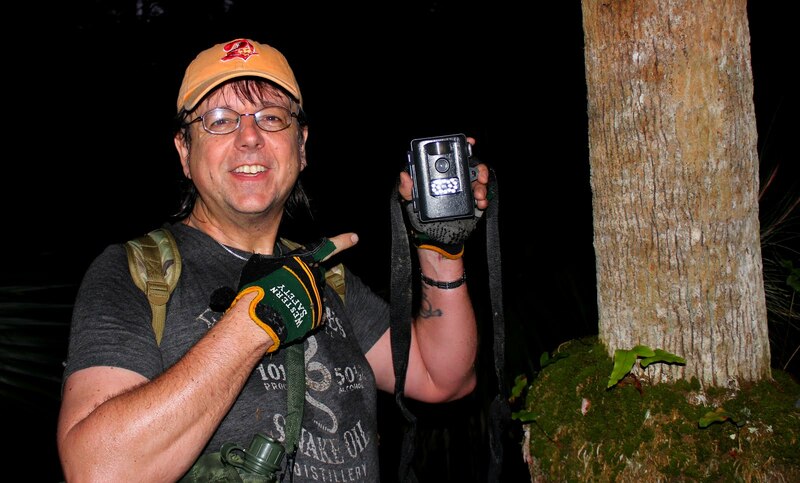 Here are some of the latest shots from the Friday Night Hikes. 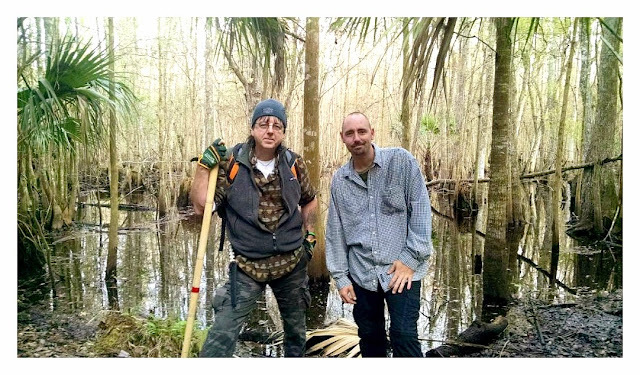 Kevin Thomas Kehl spent the afternoon searching the woods and swamps around the area where the team discovered the torn up palms and possible bedding last week. "I found what appeared to be a footprint although I'm not totally convinced it was (see below). There was a lot of standing water out here today due to the rain from the last cold front. 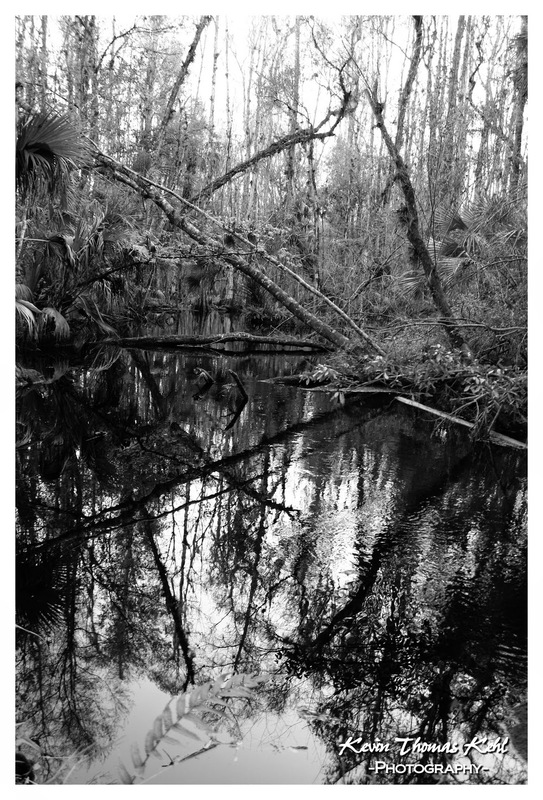 While I was walking through the swamps looking for an appropriate spot for "The Ambassador Project" I took lots of pictures. At one point I heard a loud thud and breaking sticks on the ground. I was not able to find what it was. It could very well have been a hog....I'm not sure at this point. 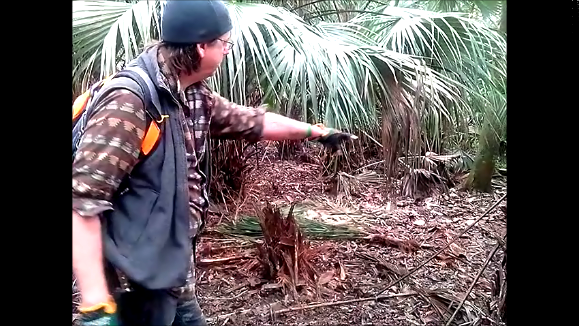 I covered a lot of ground in a short period of time and the one big thing I did notice was the lack of torn up palms such as the ones Rob, Nick and I found last week." A return trip to the area where the FBI discovered the amazing evidence of palms being pulled up by the root is currently being planned. Winter is passing by and Florida will very quickly turn into the intolerable hot and humid days of spring and summer. 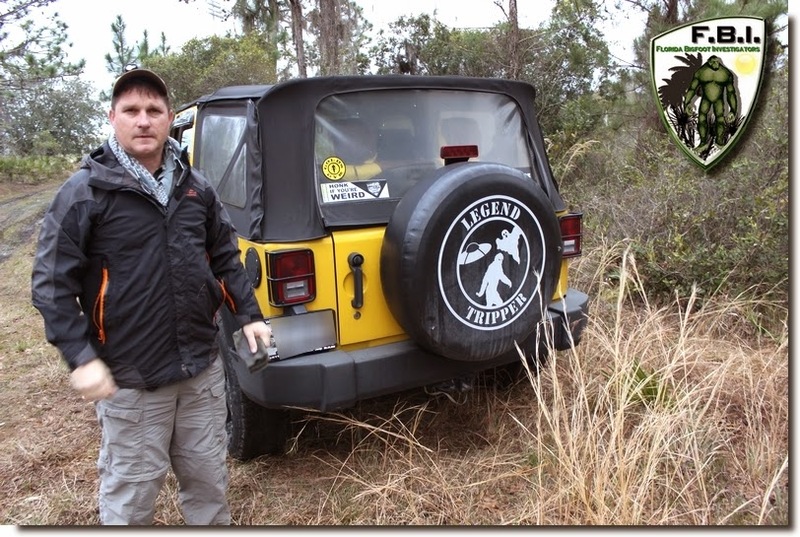 The team will be returning to investigate the area further and in addition Kevin Thomas Kehl will be focusing on this area for his "Ambassador Project"